NBC is once again pushing original shows during the summer, and one of the series, AQUARIUS, got a little pre-Super Bowl ad love. The show — which stars David Duchovny and Claire Holt — follows a Los Angeles detective in the late ’60s who ends up tracking Charles Manson. Will you be watching when AQUARIUS debuts? THE VAMPIRE DIARIES and its spinoff, THE ORIGINALS, were honored during PaleyFest on Saturday night in Hollywood, and stars Paul Wesley, Phoebe Tonkin, Danielle Campbell, Joseph Morgan, Nina Dobrev, Claire Holt, Ian Somerhalder, Charles Michael Davis, Leah Pipes, and Daniel Gillies, as well as executive producers Julie Plec, Michael Narducci, and Caroline Dries participated in panels about The CW hits. Which photo was your favorite? And be sure to check back with Give Me My Remote for interviews with the panelists! But THE ORIGINALS is a series that, so far, has relied on flashbacks to the siblings’ past tensions and relationships to explain and expand on what is going on in the present. So before Saturday night’s PaleyFest panel for THE ORIGINALS and its mothership series, THE VAMPIRE DIARIES, I asked THE ORIGINALS boss Julie Plec if it was plausible to expect to see Rebekah in those flashbacks — or if it was possible for her to turn up on THE VAMPIRE DIARIES again. 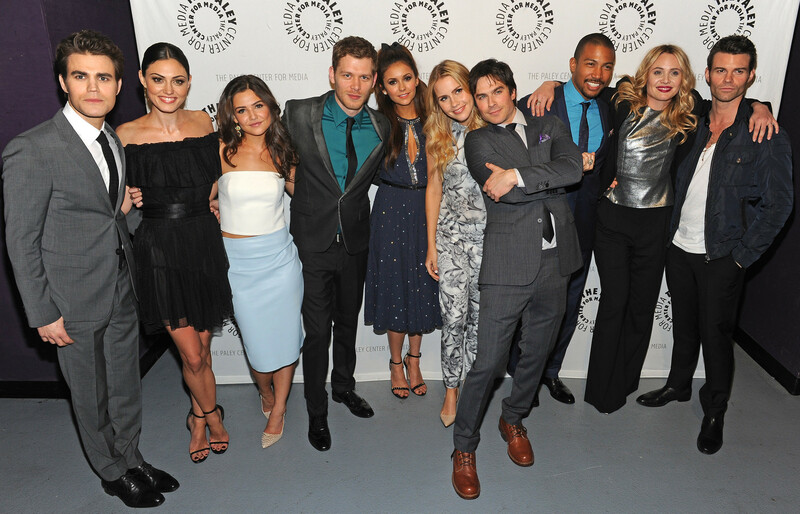 The CW at TCA: Panel Photos for THE ORIGINALS, REIGN, THE TOMORROW PEOPLE, and WHOSE LINE IS IT ANYWAY? The CW presented their new shows at the Television Critics Association yesterday, and we have some photos of the panels. Take a look at who was there to represent THE ORIGINALS, THE TOMORROW PEOPLE, REIGN, and WHOSE LINE IS IT ANYWAY? 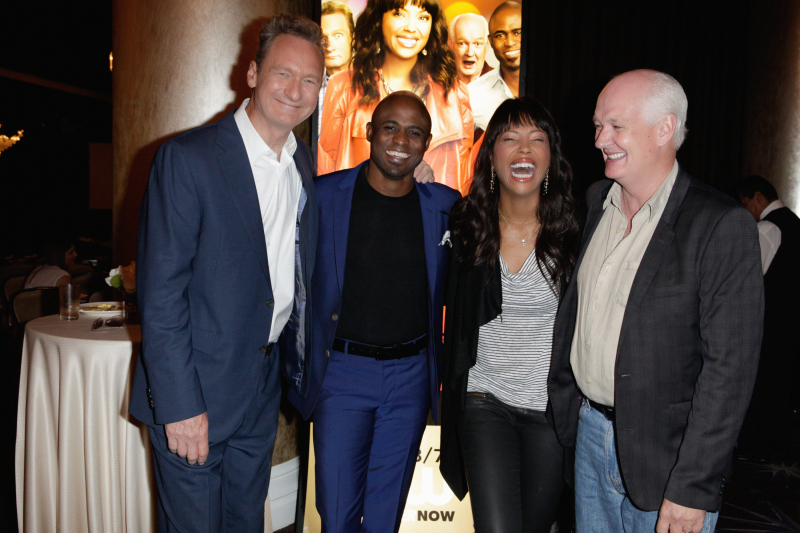 Image Number -- _MG_4099b.jpg -- Pictured (L-R): Ryan Stiles, Wayne Brady, Aisha Tyler, and Colin Mochrie (‘Whose Line Is It Anyway?') at The CW 2013 Summer TCA Session at The Beverly Hilton in Los Angeles, CA on Tuesday, July 30, 2013. Photo: Joe Magnani/The CW. © 2013 The CW Network, LLC. All Rights Reserved. THE ORIGINALS at Comic-Con: Check Out the Sizzle Reel! Comments Off on THE ORIGINALS at Comic-Con: Check Out the Sizzle Reel! THE ORIGINALS backdoor pilot may have already aired, but WB put together a special sizzle reel to air before the show’s first Comic-Con panel.